At the Bruce Grey Poverty Task Force we listen to people in our communities with low income. In the lead up to this election, we asked people with low income what do you want for your families? 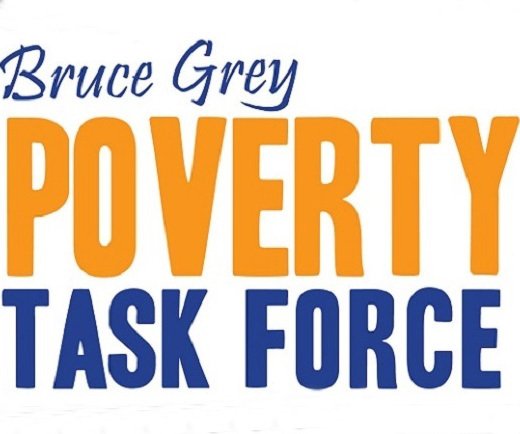 The Bruce Grey Poverty Task Force are asking Municipal Election Candidates and the public – do you know what poverty looks like in Bruce County and Grey County? We invite municipal candidates and the public to take our Community Survey to test your knowledge! Did you know … ensuring formal opportunities to recognize and consult with people with diverse lived experiences builds stronger communities? Did you know … support for community food centres and events reduces social isolation, promotes local food, and food skills programs? Did you know … prioritizing safe and affordable housing creates safe and healthy neighbourhoods? Did you know … income security solutions that include adequate social assistance would strengthen our communities? The Bruce Grey Poverty Task Force has created a series of infographics with the latest data on poverty in Bruce County and Grey County. Each infographic comes with references to assist you to learn more! Don’t want to read – then you can watch our Community Voices’ videos. Our Rentsafe: Above Standard Housing Project features members of our Community Voices speaking out on poverty-related issues in Owen Sound in 3 videos. Learn more about the work of the Bruce Grey Poverty Task Force – About Us, Action Groups and Community Voices. How do I vote if I don’t have an address or I.D.? How do I vote online if I don’t have have a computer? How do I know what the candidates are standing for? How do I find transportation to a voting station? Planning to vote in the upcoming municipal election? Visit voterlookup.ca to make sure your name is on the Voters’ List or call 1-866-296-6722 to learn more. In 2018, voters in 14 municipalities will be able to cast their vote online from anywhere they can access the internet or telephone – 24 hours a day in some municipalities. There will be no paper or mail-in ballots. The service provider, Dominion Voting, has created a video to show how to vote by internet. Most municipalities have detailed information pages on Internet and Telephone Voting . Three (3) municipalities will use a Vote by Mail methodology. The YMCA Housing is authorized to verify status for people who are homeless. Contact your local muncipality for information on All Candidate Debates, Voter Information Sessions and Voter Help lines in your municipality.